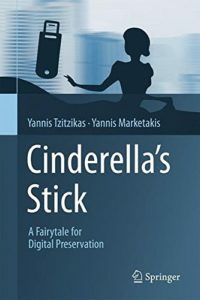 This book explains the main problems related to digital preservation using examples based on a modern version of the well-known Cinderella fairy tale. It is addressed to those who would like to understand these problems, even if they lack the technical background. The book also aims to explain (up to some degree) the technical background, to provide references to the main approaches (or solutions) that currently exist for tackling these problems, and to provide questions and exercises appropriate mainly for computer engineers and scientists. You can purchase your book online as an eBook or Hardcover book. You can read some testimonials here or send us your own here.